Samuel primarily practises in Personal Injury and Employment Law. However, he also accepts instructions in all other areas of Civil Law including Contract and Credit Hire claims. Samuel is a meticulous and robust advocate and has an approachable yet professional manner with clients. He has been commended for his thorough case preparation and effective advocacy in court. Samuel has also received praise for the high quality of his written work and pleadings. He is content to accept instructions at any stage of proceedings and can provide ad hoc advice at short notice. Samuel was called to the bar in 2011 and joined Lincoln House Chambers from Unity Street Chambers in 2018. 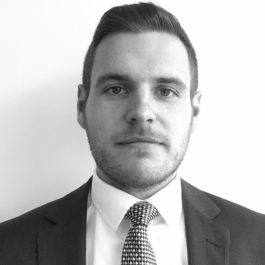 Samuel is licensed to provide advice and representation under the ‘Public Access’ scheme directly to members of the public.